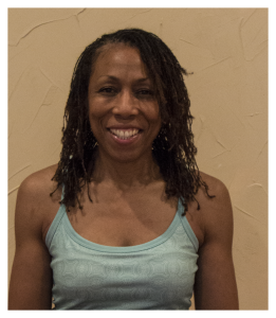 Hello, I am Valencia Folks, owner, and creator of the Rhythm of Yoga studio. The Rhythm of Yoga is a home-based studio located in the heart of Cheltenham, Maryland. I look forward to not just welcoming you into my place of business, but into my passion. After serving in the United States Air Force for over 20 years, fitness became an everyday part of my life. I took my first Hatha Yoga class in 2005, and I immediately knew it was the path I wanted to pursue in my retirement years. I continued to take yoga classes, and in 2010, I began yoga teacher’s training at Pure Prana Yoga Studio, Alexandria, VA. I received my 200-hour certification in 2011. I also earned certification to teach children from kindergarten to the 12th grades and children with special needs.